The Genesis Drip Irrigation System was created for gardeners and growers who are looking to conserve water consumption by delivering the right amount of water directly to the root system of the plants. Each of the Genesis Drip Irrigation Systems are designed for specific projects to make it easier to select the system that is right for you. Genesis also offers additional accessories to allow for the grower to customize their own system to fit their own personal needs. This kit is designed for container growing and includes 12 spike drippers that are bundled in 3 sets of 4 drippers each. The drippers offer an even slow watering of .35 gallons/ hour per dripper. Triple layer construction expandable garden hose that expands up to 100 ft! Durable plastic fittings, lightweight and will never kink or tangle. Comes with the added benefit of a self draining plastic keeper box for quick and easy storage. The original expandable garden hose, XHOSE Pro, is everything your typical garden hose isn't - it's lightweight, compact, and expandable, with a powerful spray and a kink-free design. It comes with solid brass fittings and powerful spray. Plus, it expands and contracts for easy maneuverability and convenient storage. The XHOSE Pro is like no hose in the world, making it easier than ever to work in the yard, wash the car, and more - you can even take it on the go, in your truck, boat, or RV. 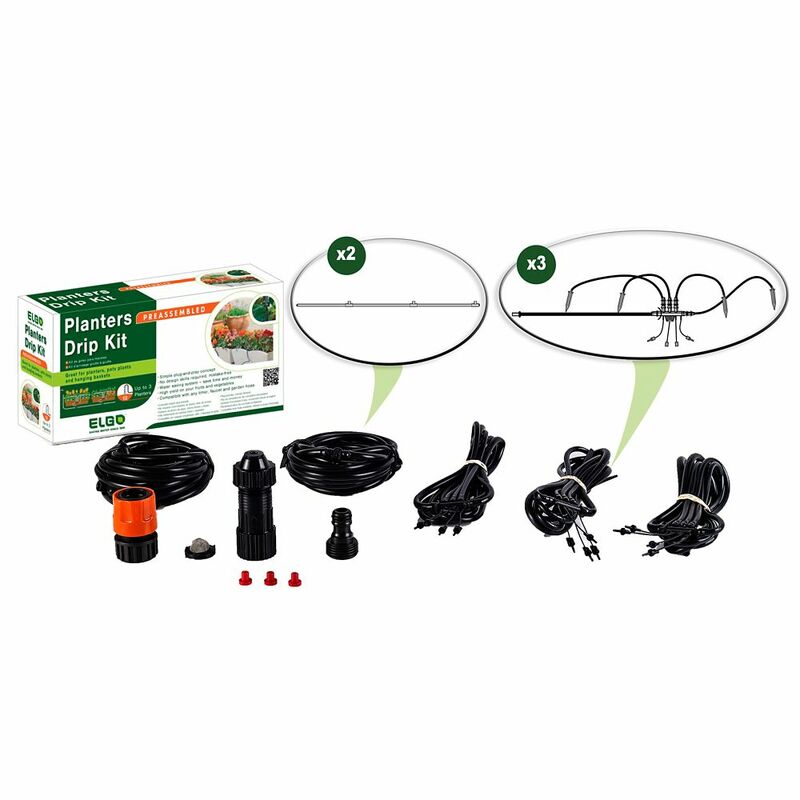 12 ft. Dripper Watering Kit The Genesis Drip Irrigation System was created for gardeners and growers who are looking to conserve water consumption by delivering the right amount of water directly to the root system of the plants. Each of the Genesis Drip Irrigation Systems are designed for specific projects to make it easier to select the system that is right for you. Genesis also offers additional accessories to allow for the grower to customize their own system to fit their own personal needs. This kit is designed for container growing and includes 12 spike drippers that are bundled in 3 sets of 4 drippers each. The drippers offer an even slow watering of .35 gallons/ hour per dripper. 12 ft. Dripper Watering Kit is rated 5.0 out of 5 by 1.